Travel Channel is an American-owned, British satellite television channel, transmitting 24 hours a day in 21 languages across Europe, the Middle East, Africa and Asia-Pacific. It is operated by Travel Channel International Limited (TCI) ? a company headquartered in London. Knoxville, Tennessee-based Scripps Networks Interactive acquired Travel Channel International Limited in May 2012. The channel mainly airs programming involving travel, such as guides to holiday planning, and traditional documentary programming about destinations, cuisine, culture, nature and shopping, along with other types of travel such as backpacking, culinary tourism, ecotourism and luxury tourism. Travel Channel was launched in 1994 and it uses 20 satellite feeds to reach over 850 cable, satellite and IPTV platforms in 125 territories. A second sister channel, Travel Channel 2 launched on Sky Digital on 11 February 2008 but closed on 2 March 2009 when the EPG slot was sold to Style Network. Travel Channel International began to offer their high definition channel, Travel Channel HD, throughout Europe on 15 November 2010 and consequently Asia. The UK Travel Channel currently doesn´t carry an HD simulcast. 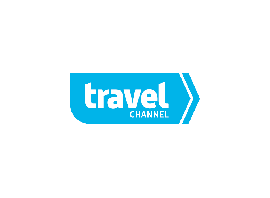 On 25 March 2013, Travel Channel received refreshed branding, with an overhaul of its scheduling and programming. This was followed by a launch on the UK free-to-air platform, Freesat, on 2 April 2013. Travel Channel Asia HD on Astro Channel 730 will be Launching Broadcast Soon in Malaysia in 2015 and will be Announced by Astro Malaysia Holdings and by the News of Astro Awani.